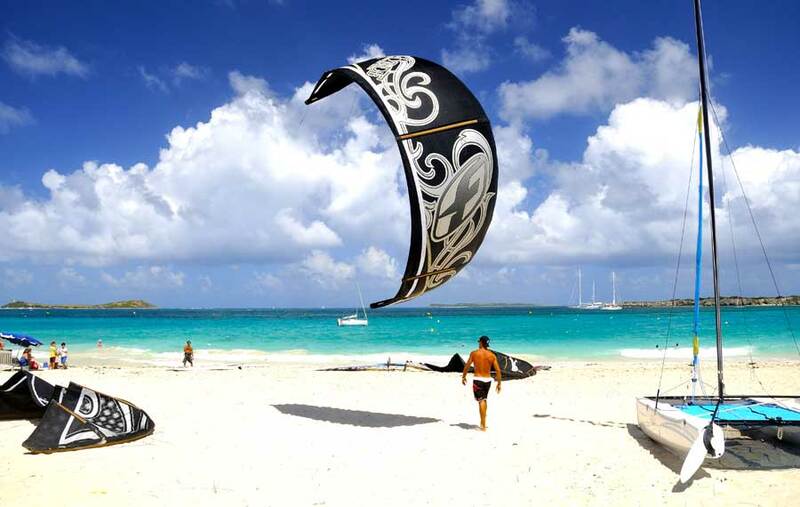 Looking for a sensational day at the beach? 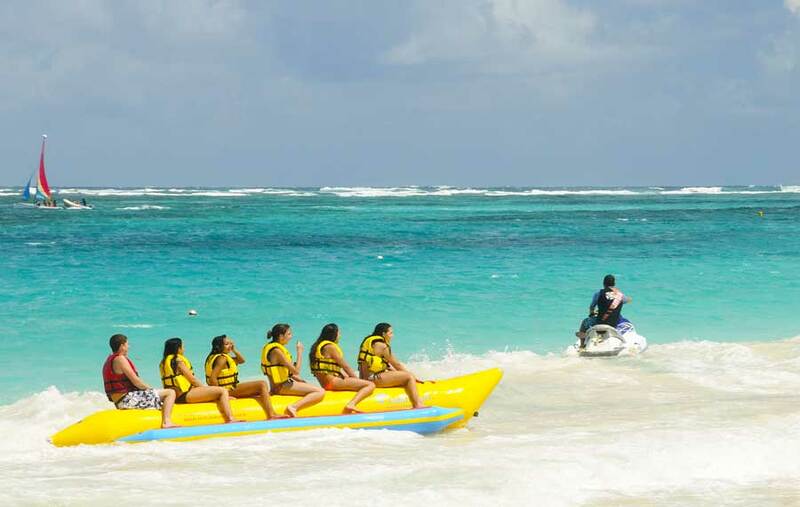 One of the most exhilarating tours in St. Maarten: The Maho + Orient Beach Bum Lifestyle, offers four and a half hours of sun, sea and absolute fun on two of the most popular beaches on the island! 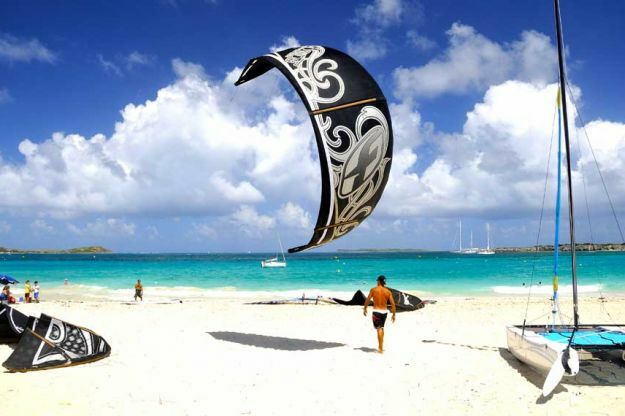 Try all sorts of watersports, from jetskis to paragliding, including kids activities. You could also just relax on the clear sand beaches and take a dip in the turquoise sea water. * Activities at own expense. This is a beach tour so wear your swimsuit and bring along a towel, sunscreen, hat, sunglasses, a camera and money for water sports activities. Note: No lifeguards, swim at your own risk. Departure: 9 am (Island Time). Second Departure: 10 am (Only available from November to March). Get ready for four and a half hours of sun, sea and absolute fun! 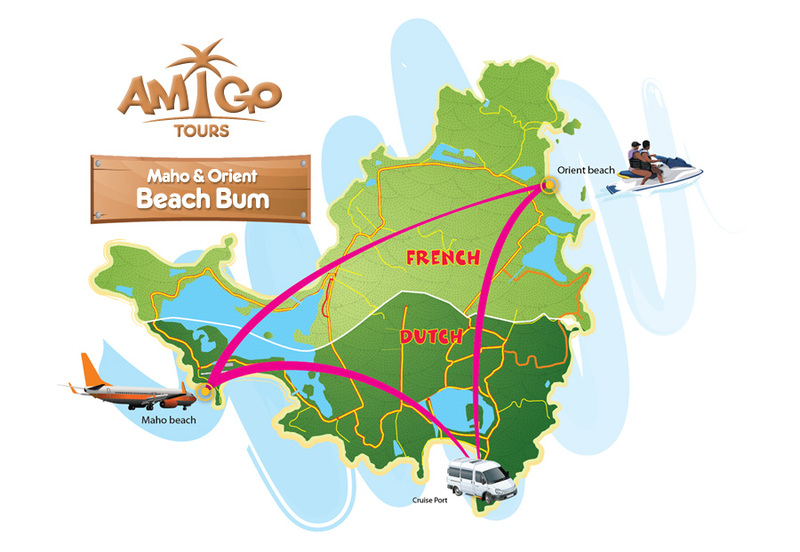 Your friendly guide will pick you up at the cruise port or hotel and take you to Orient Beach. This area is properly equipped with complete tourist amenities. 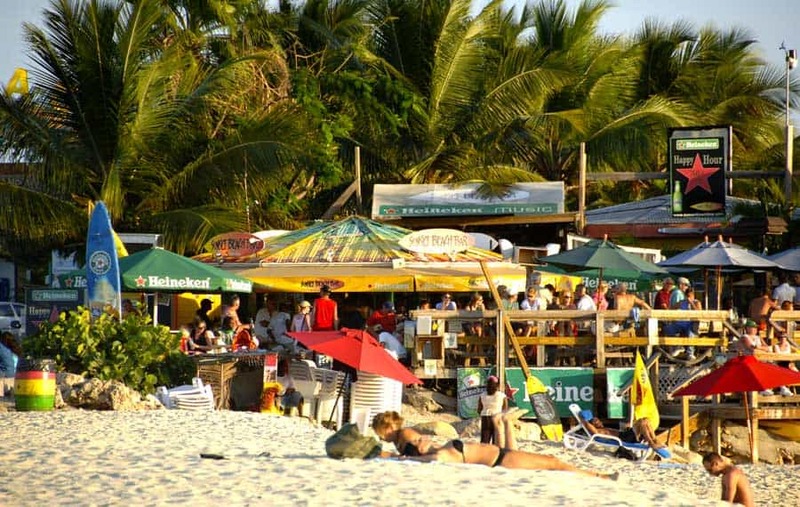 It is the longest beach on the island and has a wide range of beach bars and restaurants within easy reach. 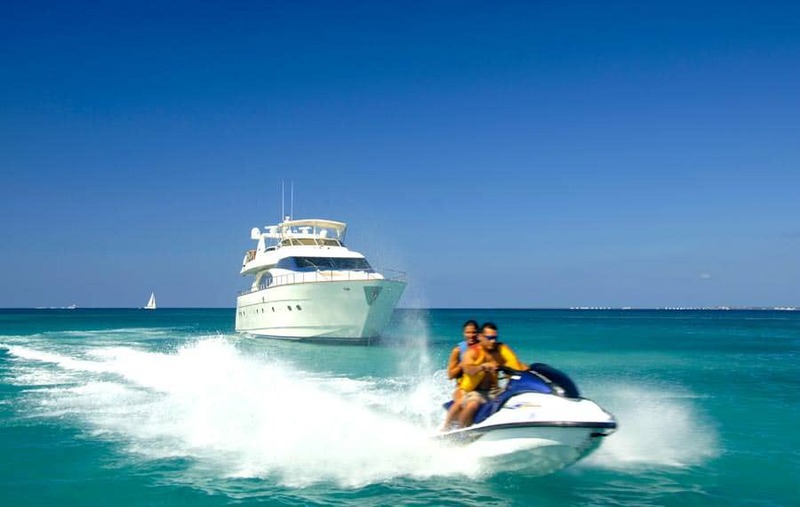 Check out the many water sports facilities such as jet skis, sailboats, paragliding and even some kids activities are available (own expense) or simply take a dip in the pristine clear blue water. 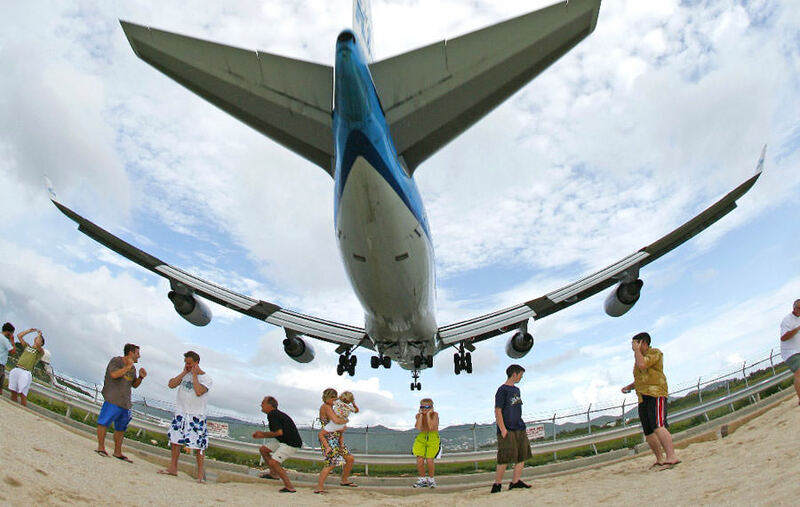 After two hours of sheer fun at beautiful Orient Beach, we head to Maho Beach and arrive around midday just in time to see the Boeing 747 and Airbus A380 just a few meters over the beach as they approach for landing at the nearby Princess Juliana International Airport (SXM). 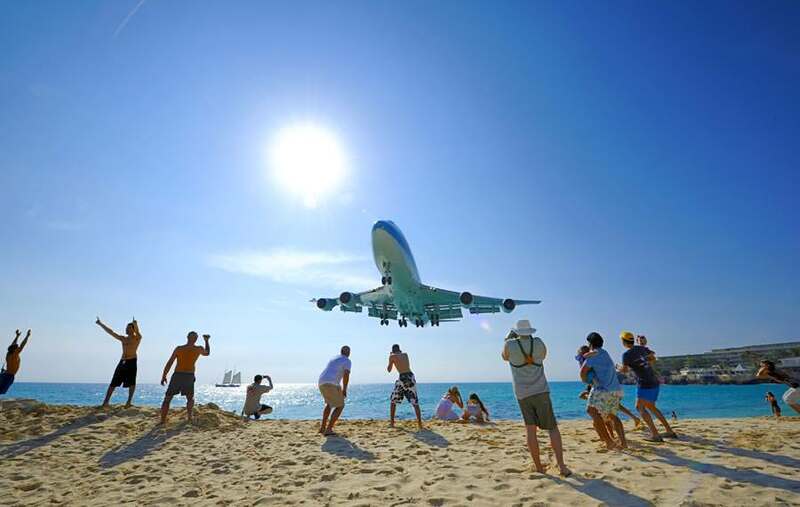 For two hours as a beach bum at the Maho Beach, you automatically become a guest of the Sunset Beach Bar and Grill, where you can enjoy a cool cocktail or a tasty lunch (own expense) while you listen to the live feed as the control tower communicates with the arriving aircraft. Just sit back, relax, feel the cool Caribbean Sea breeze rush off the swelling waves of the sea or stroll along the pure white sand. Be lost in the sound of the waves crashing into the rocks that rise off the coast. 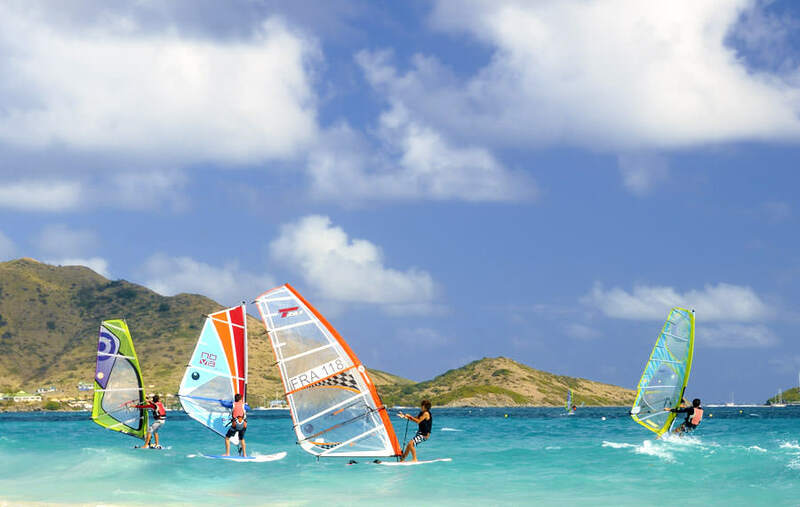 Your guide will transfer you back to your hotel or the cruise port when you've achieved official status as a St. Maarten beach bum! 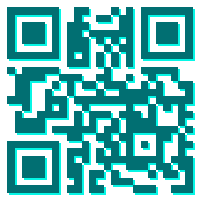 Swim, sunbathe, enjoy water sports & games. Venture over to the "clothing-optional" section of Orient beach. 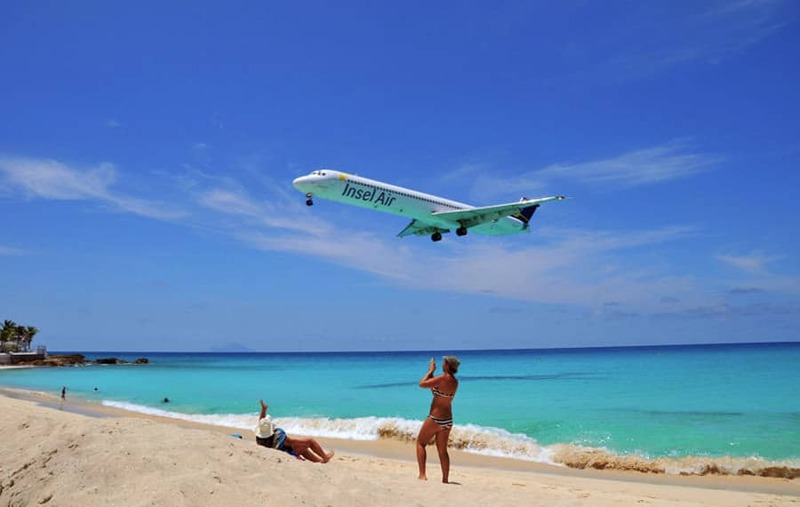 At Maho Beach, bask in the sun under the shadows of jet planes.